The Amazon Echo and Google Home are both centerpieces in making your home a smart home How Amazon Echo Can Make Your Home A Smart Home How Amazon Echo Can Make Your Home A Smart Home Smart home tech is still in its early days, but a new product from Amazon called "Echo" may help bring it into the mainstream. Read More . However, there are some big security concerns from these devices. Both keep a recording of everything you say to them, which is stored on the company’s servers. While these recordings serve to make your and others’ experiences with the products better, you might want to remove them for peace of mind 6 Surprising Ways Your Data Is Being Collected 6 Surprising Ways Your Data Is Being Collected You know that your data is being collected, mainly by your ISP and the surveillance apparatus of the NSA and GCHQ. But who else is mining cash out of your privacy? Read More . Here’s how to do that. For the Amazon Echo, you can delete individual voice clips or wipe everything at once. To delete one by one, you can open the Alexa app on your phone and go to Settings > History. You’ll see each line you’ve spoken to your Echo, and can tap on one to expand it. Here, you can listen back to your recording if you like, or tap Delete voice recordings to remove it. To erase everything at once, visit your Amazon Content and Devices page. Click Your Devices near the top, then select your Echo. Click Manage voice recordings underneath it, then Delete to confirm. Anyone with a Google Account can visit Google’s My Activity page to review every touch you’ve had with their services. To delete your Home and other voice activity, click Delete activity by on the left sidebar. Change the bottom drop-down box from All Products to Voice & Audio, then select a time period to delete. You can choose from preset values like Today, Last 30 Days, and All Time, or specify your own time parameters. Click Delete to confirm. Not sure which smart home device is right for you? 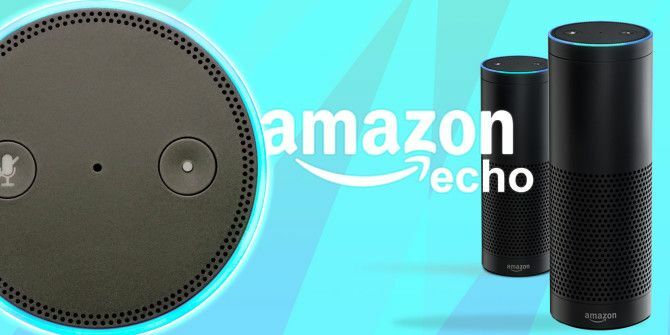 Check out our comparison of the Echo and Google Home Amazon Echo vs. Google Home vs. Apple HomePod Amazon Echo vs. Google Home vs. Apple HomePod In this article, you'll learn the differences between the Amazon Echo and Google Home. We'll also take a look at what features an Apple speaker may include. Read More . Do you have an Amazon Echo or a Google Home? Are you concerned about your voice being recorded, and have you ever deleted this information? Let us know down in the comments! Explore more about: Amazon Echo, Google Home, Online Security.